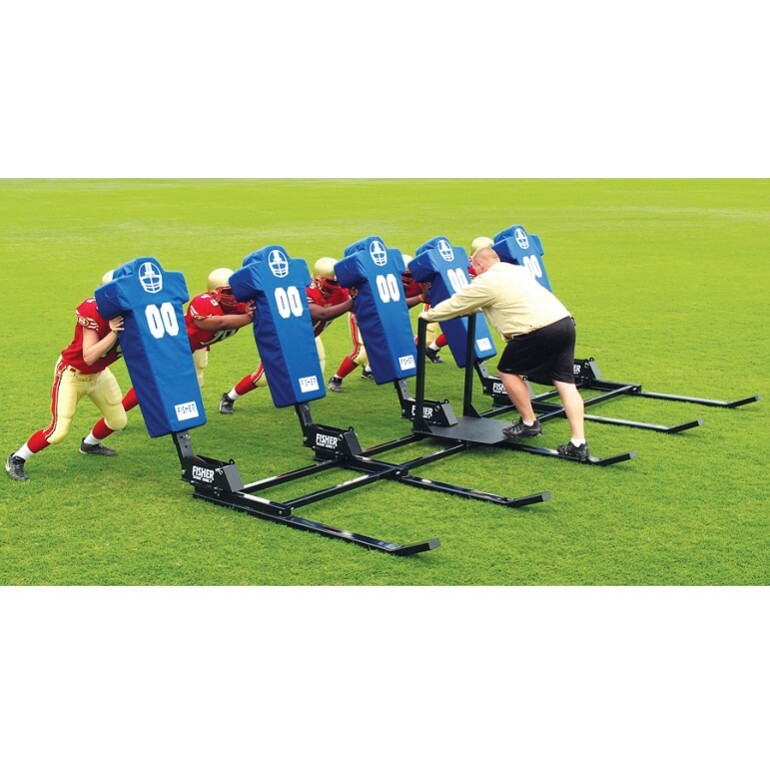 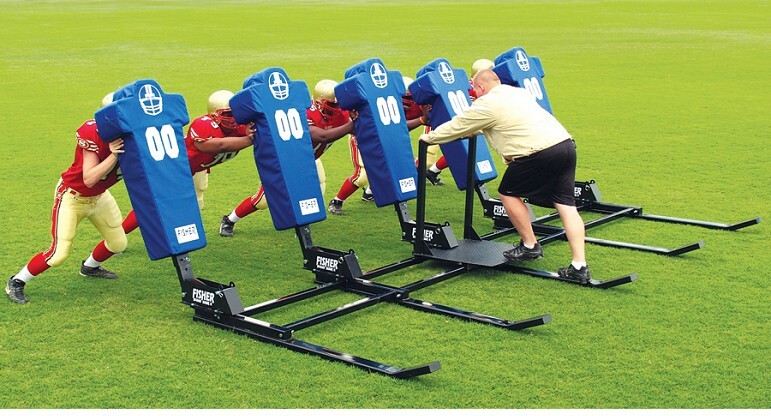 This optional Fisher platform for Big Boomer sled allows coaches to have an up front view of drills and gives them the feel of impact. 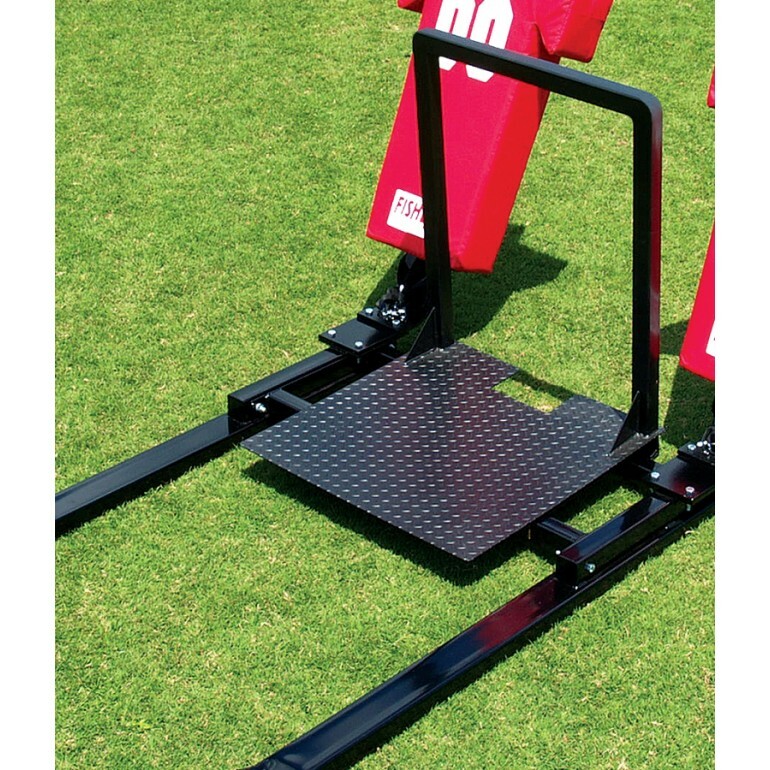 Coaches choose this product because of it's sturdy non-slip 30" x 30" steel diamond plate base and 2" O.D. 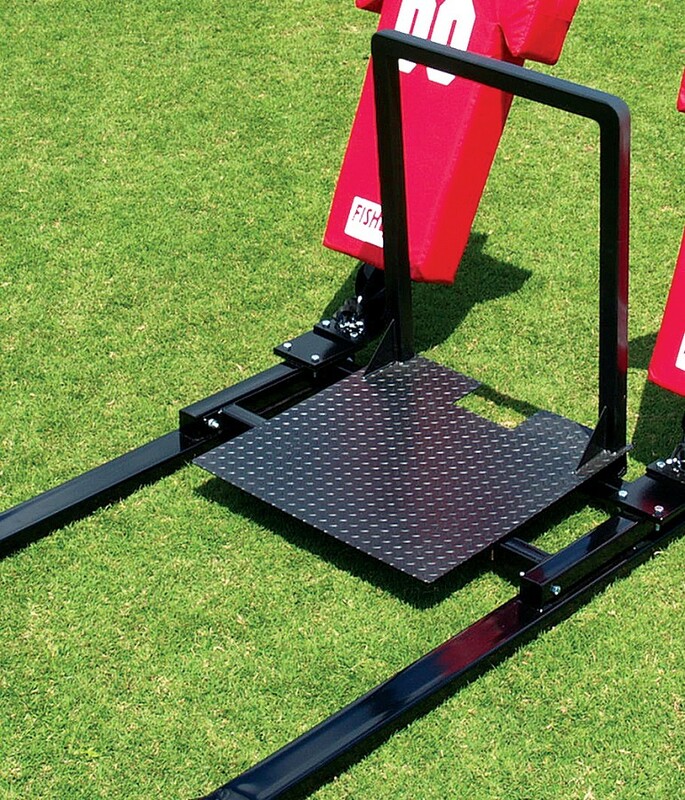 hand rail.